Home » MakeBadger's templates shop » Elegant Business Card on black background. OBC-02. 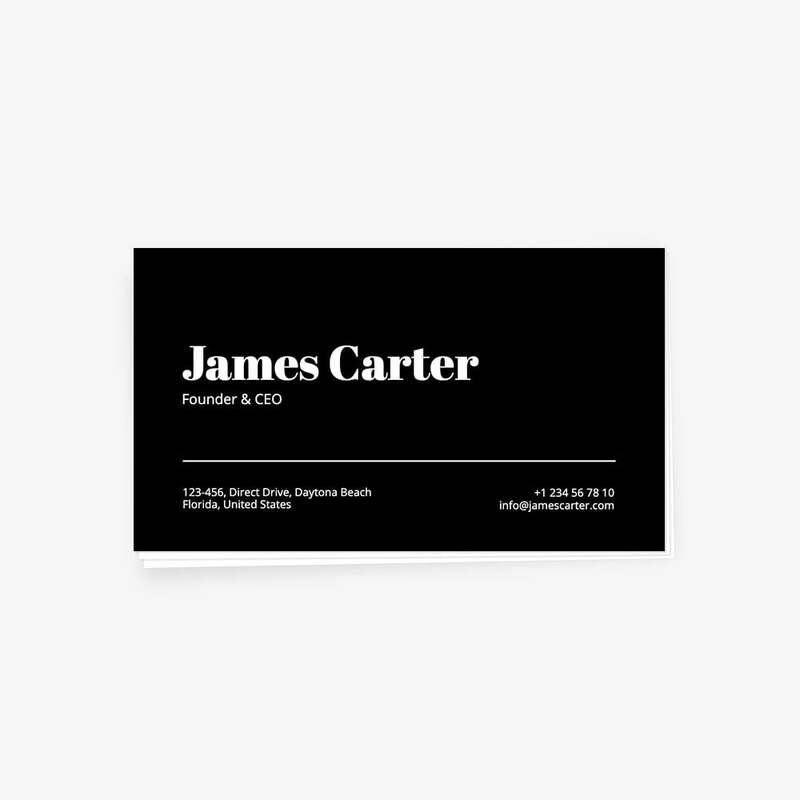 Stylish black classic-looking card. Suitable for most of the business cases. Classic layout and white text on the black make this card good-readable and effective. Is it time to change your business card? Meet the brand new visiting card template for our online editor. The black background and inverted text make this card good-looking and unforgettable. You don’t need to pay for cards anymore, just press the button below, open the online editor and customize the template in minutes. Use this design as a base for your own artwork. After making changes you can print your artwork using your printer or save it for further print in a local print shop.